Less parasitic loss, more horsepower to the wheels! 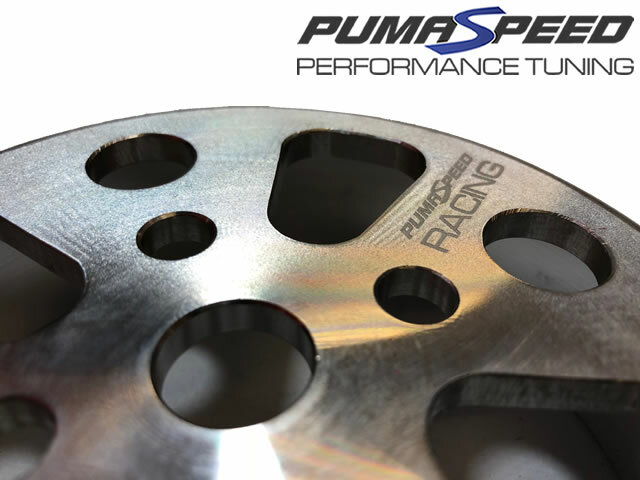 The new Pumaspeed Racing pulley is the first in a new line of race spec products designed to increase performance for Your Fiesta ST 1.6 Ecoboost.Perfect for road going race cars or daily drivers, driven fast. This CNC machined pulley is made from Aircraft Grade Billet 6061 Aluminium and reduces excessive engine load from ancillaries. It gives a sharper throttle response and has less rotating inertia than stock (Weight approx 480 grams vs 252 grams average). The pulley is bigger than stock, which means the ancillaries are driven slightly slower to reduce parasitic losses,allowing for more horsepower getting to the wheels and not being wasted through the water pump. These are anodized for wear resistance and look incredible. Replacement slightly longer puley belt reccomended. The Pumaspeed Workshop team are ready to fit the *SPECIAL* Pumaspeed Racing Fiesta ST180 Uprated Pulley in our Head Office located here. We estimate the labour time to be approximately 0.60 hour(s) costing £46.80 inc VAT. Therefore making parts and labour a total cost £106.79 (inc. VAT). Pumaspeed have a specialist distribution team that can dispatch the *SPECIAL* Pumaspeed Racing Fiesta ST180 Uprated Pulley to any destination worldwide.